Born: December 13, 1817 in Falmouth Ma. Died: April 6, 1901 in Bourne Ma. at 83 yrs. Married (1): July 9, 1839 in Falmouth Ma. 1. Henry H. Kendrick; Capt. (October 13, 1840 – October 12, 1884); Married Mercy Ann Raymond (1842 – 1936) (Asa Raymond & Eliza Ann Lumbert) in Sandwich Ma. 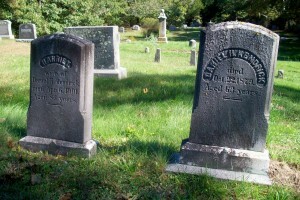 on December 20, 1868; Henry & Mercy are buried in Pocasset Cemetery. 2. Rachel Snow Kendrick Beckerman Thompson; (April 9, 1843 – June 24, 1927); Married (1) John Albert Beckerman, Capt. (1819 – 1887) (Gerard Beckerman & Margaret (–)) in Sandwich Ma. on December 25, 1861; John married (1) Ann Phillips Kendrick (1829 – 1859) (Solomon Kendrick & Ann (Phillips) Weeks) Abt.1849; Ann married (1) (–) Weeks; John also had an illegitimate child with Harriet T. Wright in 1876; Rachel married (2) Marcus Morton Thompson (1840 – 1900) (Lewis Thompson & Huldah Wood) in Bourne Ma. on March 1, 1899; John & Ann are buried in Cataumet Cemetery & Rachel is in Pocasset Cemetery. 3. 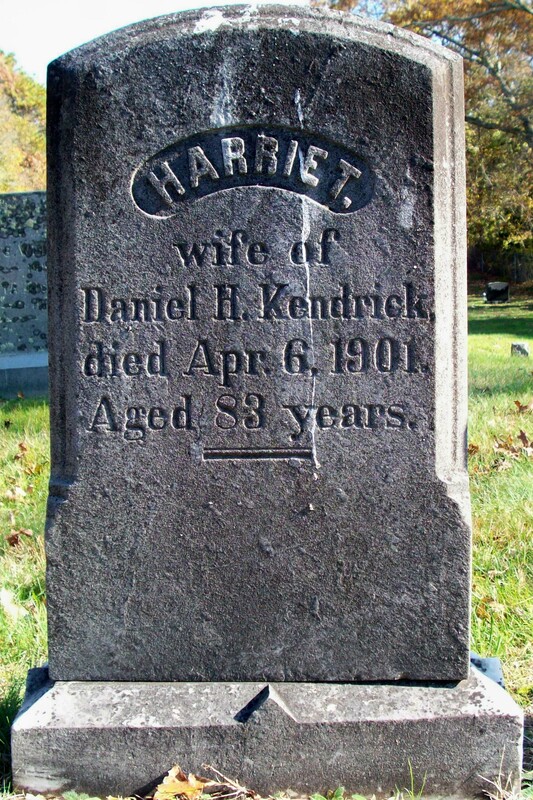 Daniel Herbert Kendrick, Jr.; (January 5, 1846 – March 24, 1929); Married (1) Adeliza/Addie Boyden Lumbert (1844 – 1875) (Ansel Lumbert & Clarinda Wright) in Sandwich Ma. on May 23, 1869 & married (2) Sarah Burt Eames (1847 – 1931) (Ephraim N. Eames & Lois Leach) in Brockton Ma. on July 27, 1877; Adeliza/Addie is buried in Pocasset Cemetery; Daniel, Jr. & Sarah are buried in Union Cemetery in Brockton Ma. with Sarah’s parents. 4. 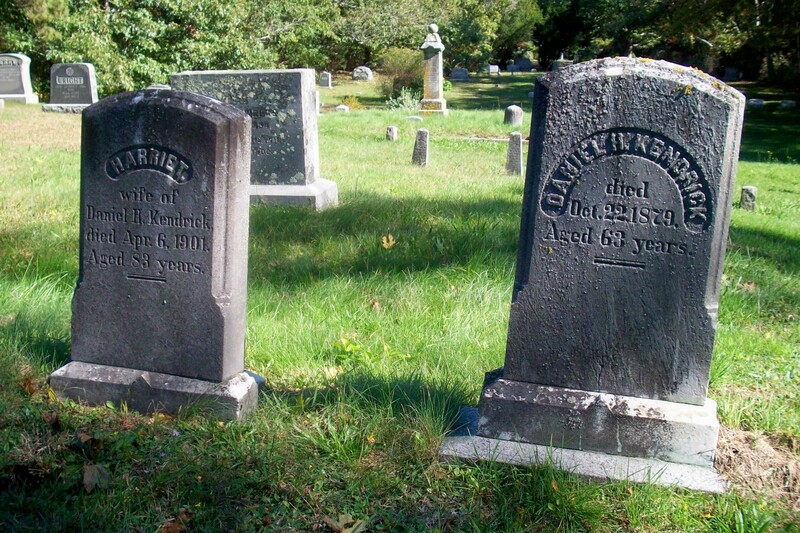 Harriet/Hattie L. Kendrick Phinney; (May 18, 1851 – October 26, 1886); Married Levi Lincoln Phinney (1845 – 1918) (Levi Phinney & Achsah Wing) in Sandwich Ma. on November 12, 1871; Levi Lincoln married (2) Frances/Fanny Walcott Edwards (1848 – 1905) (Benjamin Jones Edwards & Eleanor Swift) in Falmouth Ma. on June 14, 1893; Harriet/Hattie, Levi Lincoln & Frances/Fanny are buried in Cataumet Cemetery. Married (2): April 27, 1884 in Bourne Ma. To: William Allen Barlow, Dea., Capt. ; (1817 – 1904) (Jesse Barlow, Capt. & Polly Godfrey); William married (1) Achsah Dimmick (1819 – 1883) (David Dimmick, Jr. & Esther D. Wing) in Sandwich Ma. on August 27, 1839.